Diabetes is one of the most common chronic medical disorders, and its incidence continues to rise. This book offers patients an overview of the disease and the latest treatment regimens. But unlike other books, it also explores the psychological aspects of the disease, focusing on the difficulty many people have in sticking to treatment regimens that typically include dietary restrictions, medication schedules, and frequent blood tests. Packed with insights and practical advice, it helps people understand why they behave the way they do, what’s at stake, and how to motivate themselves to adhere to their recommended treatment. Dr Marie Clark is a chartered health psychologist who understands why it is sometimes hard to follow good advice. 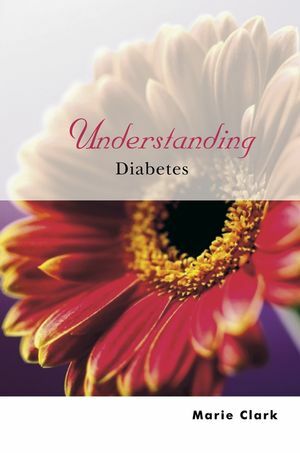 She explains how you can take control of diabetes and lead a healthy and fulfilled life. 2. What are the physical consequences? 3. What are the psychological consequences? 4. What about interacting with other people? 5. Understanding and managing treatment. 6. Understanding and managing lifestyle change. 8. Where can I get help?